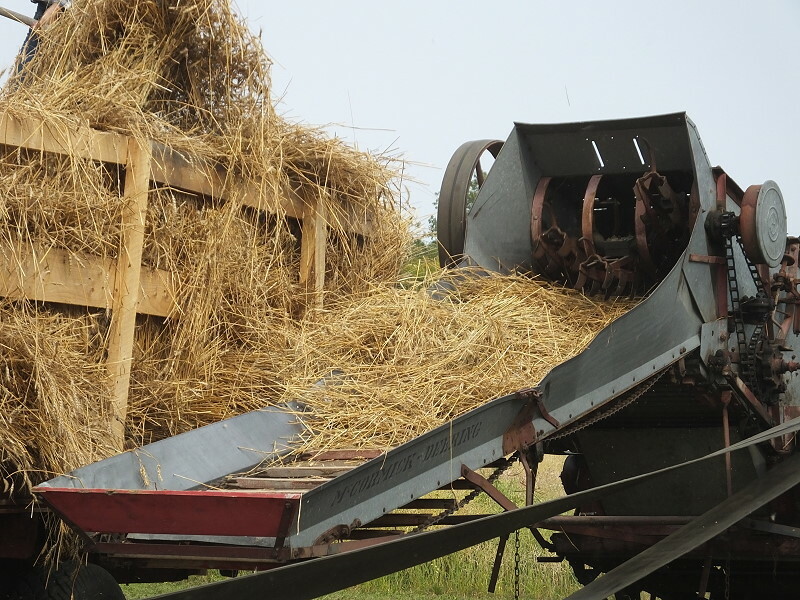 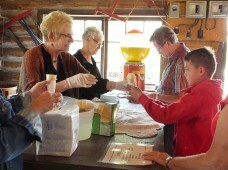 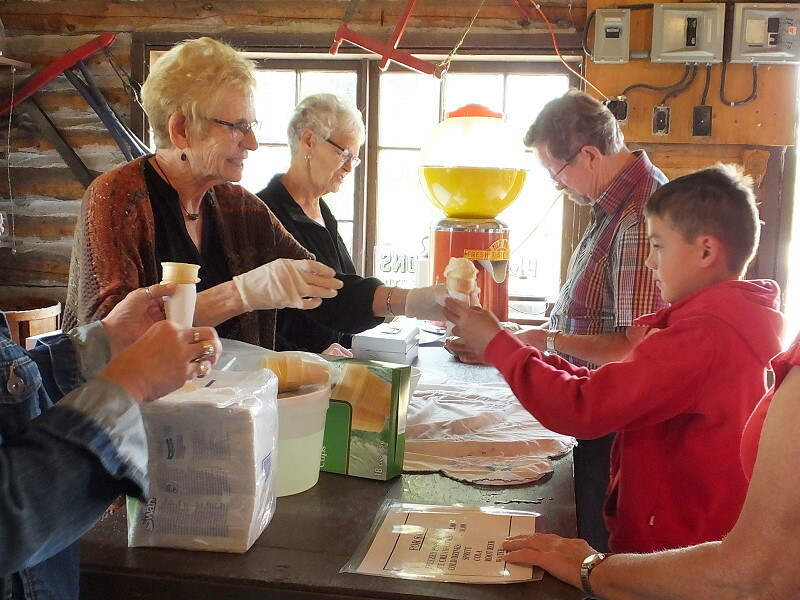 The Swan Valley Historical Museum held their annual Harvest Festival on August 26, 2018. It was a day appreciated by many generations. 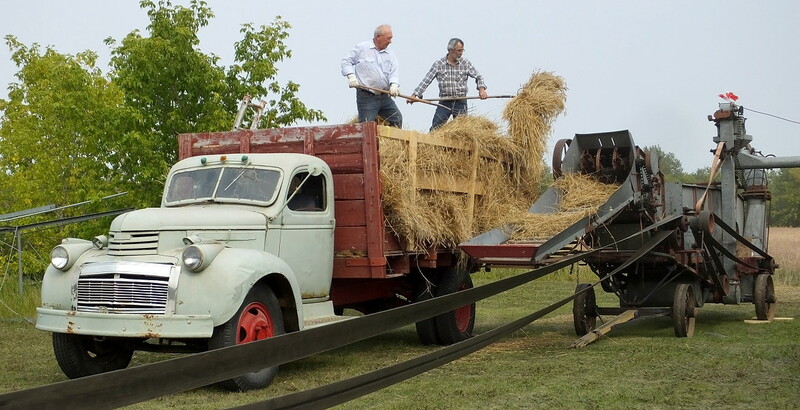 From those who remember the era when technology was in it’s infancy to children still to young to understand the significance of the past. 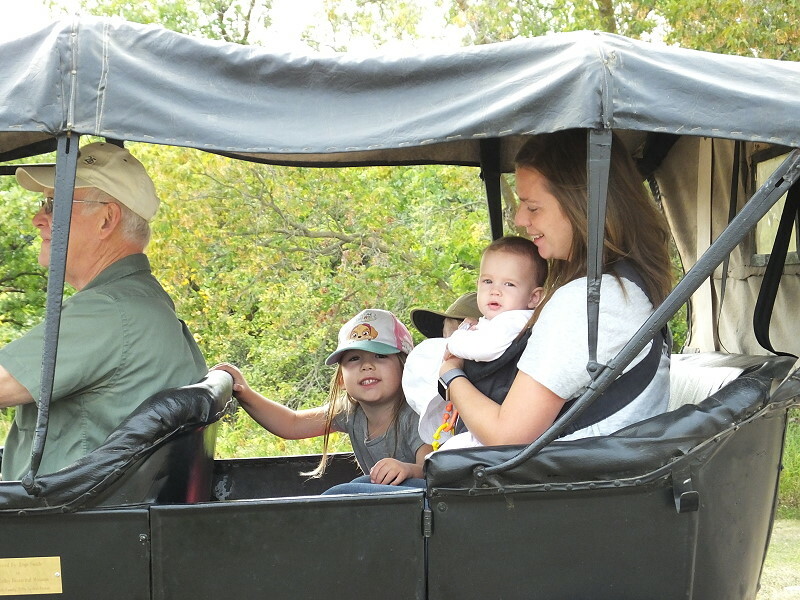 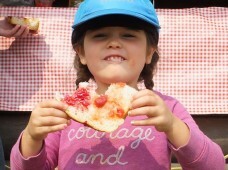 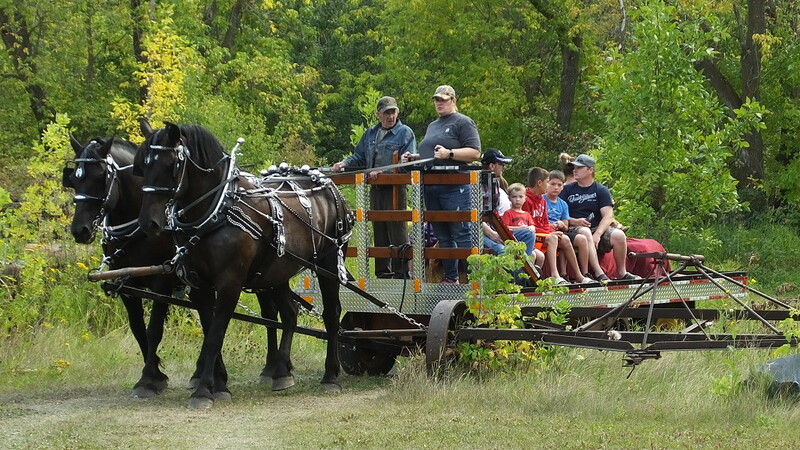 Attendees of all ages were able to experience rides in the 1916 Model T Ford or on the horse drawn wagon as well as ice cream from the general store and bread, fresh from the clay ovens. 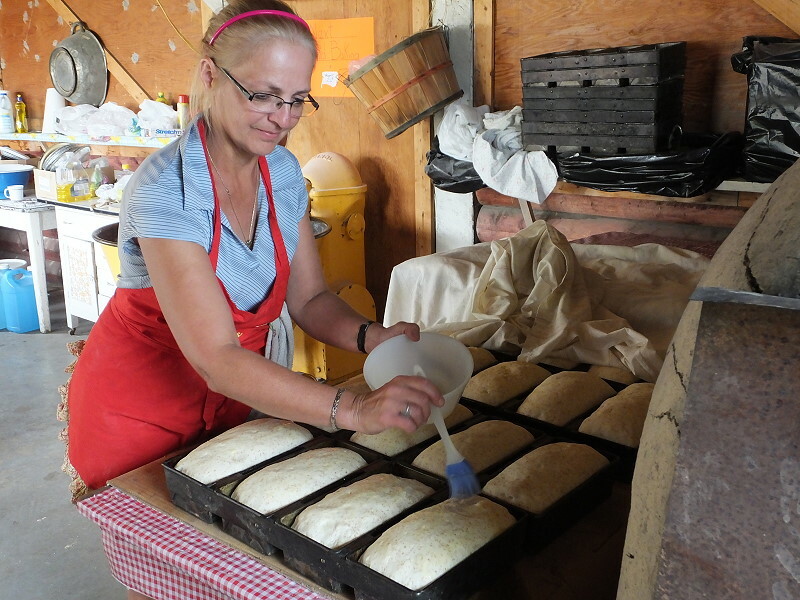 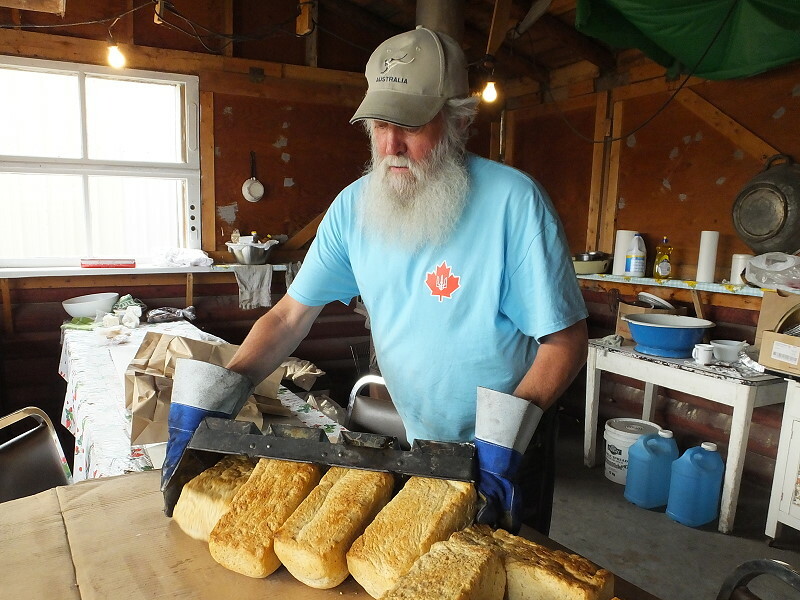 The fresh bread is a hot commodity and could be purchased either by the slice, or by the loaf with a limit of one per family. 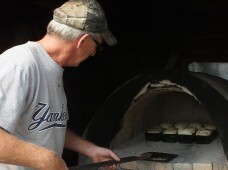 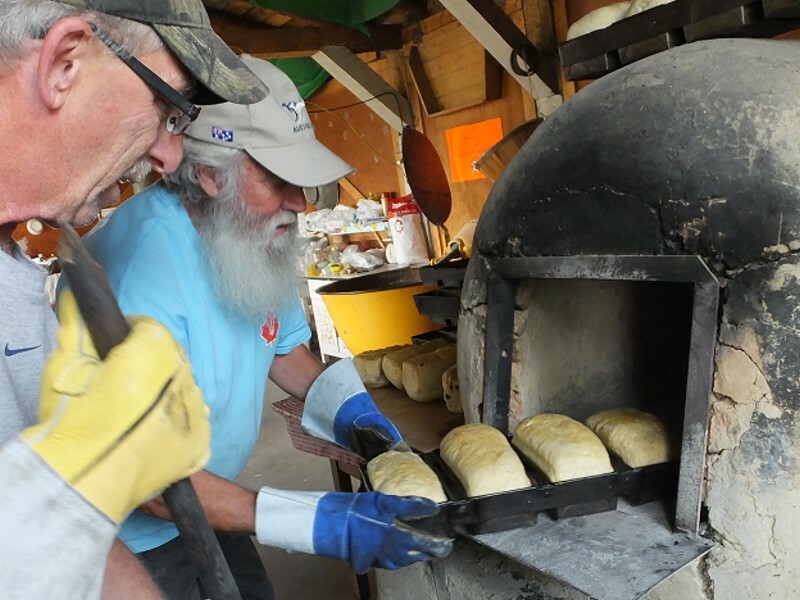 As the enticing smell of fresh baked bread began to waft from the clay ovens, people gathered to await its golden goodness. 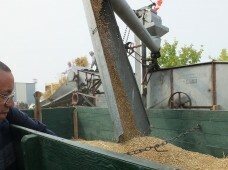 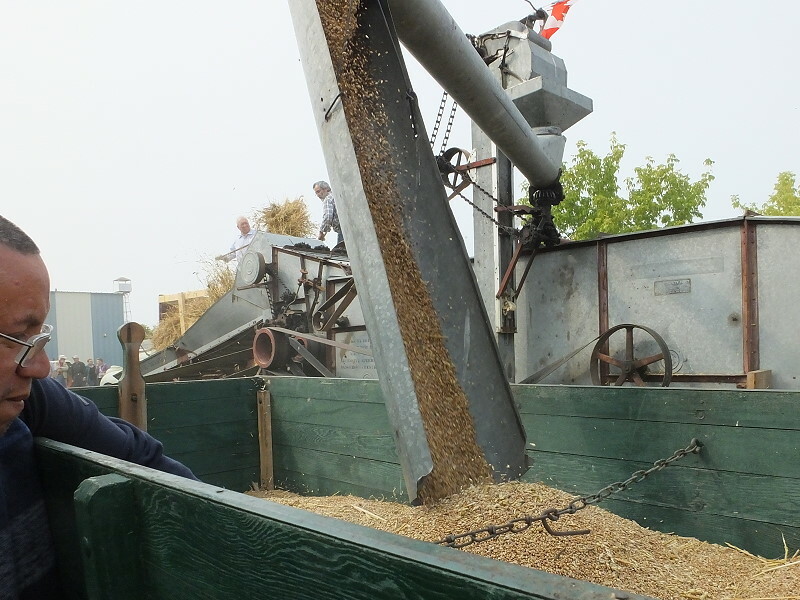 The wheat threshing demonstration is another popular attraction that draws a crowd. 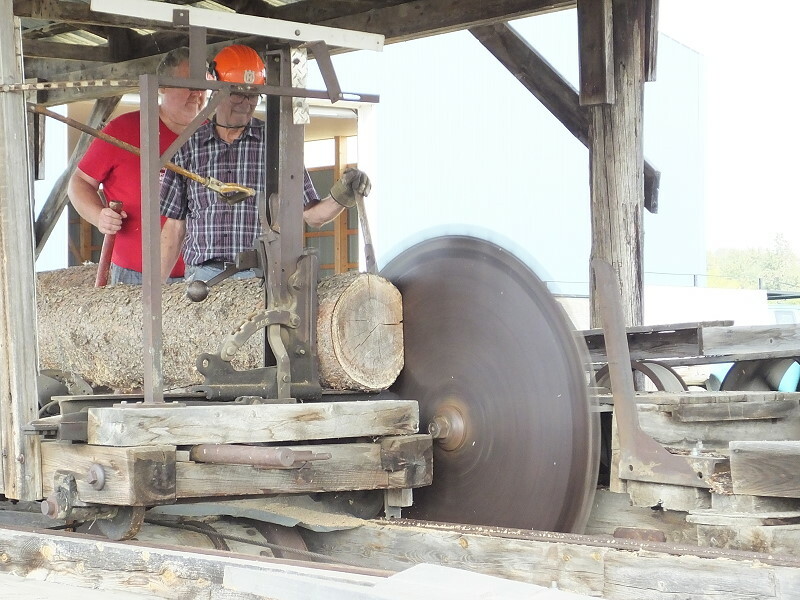 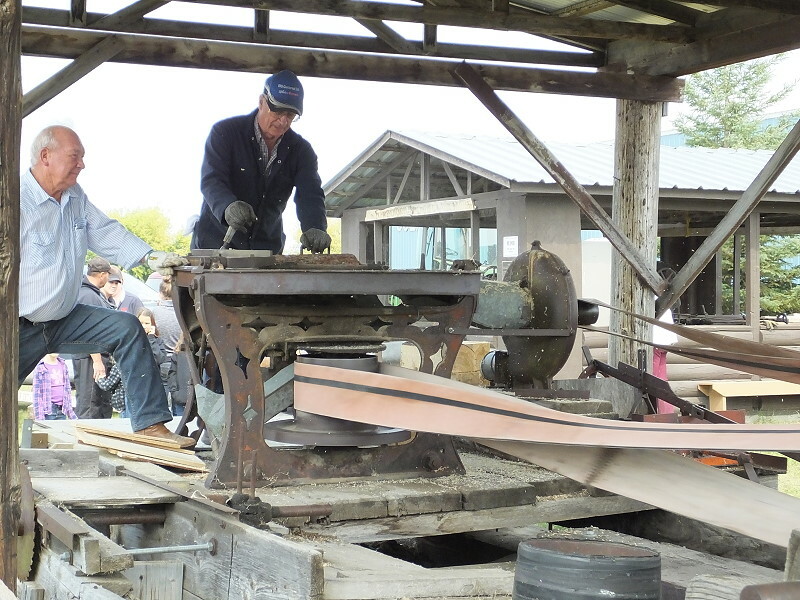 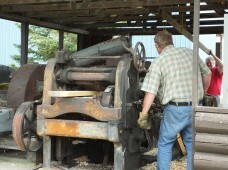 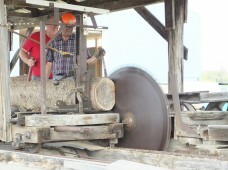 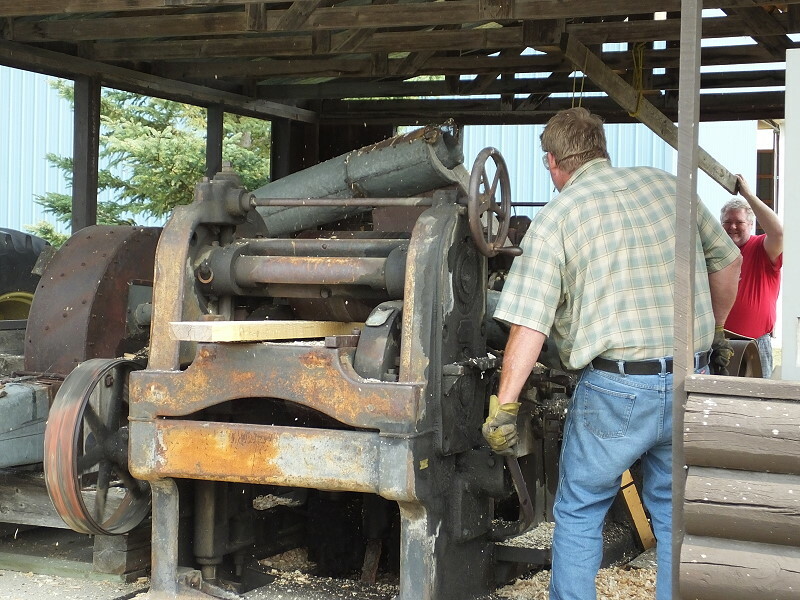 Other live demonstrations include the sawmill, planer mill and shingle mill as well as yarn spinning. 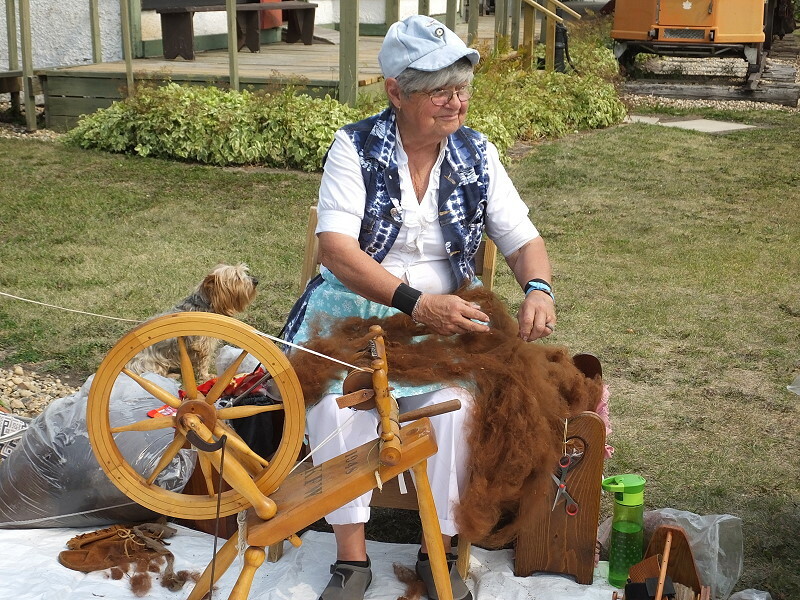 All of the buildings in the pioneer village were open for people to tour for a glimpse of early pioneer life in the Swan Valley.